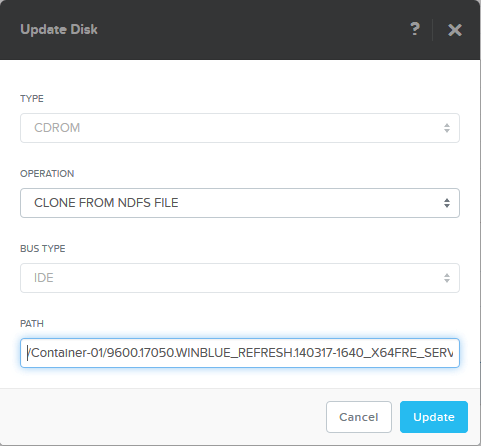 In the post Nutanix Community Edition and MAC Mini Cluster I showed you how to present the NFS storage to external hypervisors. At that time, because of NDA, I couldn’t talk about the integrated hypervisor. 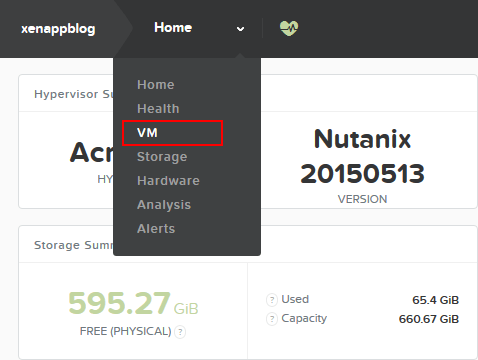 Now that Nutanix Community Edition is publicly available, let’s see how to get started with the Acropolis Hypervisor. The Acropolis Hypervisor is based upon the proven Linux KVM hypervisor, so we need to download the Windows Virtio Drivers and upload it to our ISO repository. Connect with WinSCP to the Controller VM on port 2222. Authenticate with the Prism username and password. I’m just placing the ISO’s in my Container-01. From the Prism web console select VM – Create VM. Now click the pensil to edit the CDRom and select Clone from NDFS File. Set the full path to Container and name of the ISO file. Add another CDRom for the Windows Virtio Drivers and of course the Disk itself. Save, Power On and Launch the Console. Now browse to the iSCSI driver to complete the installation. To make the whole setup 10x more smoothly I would highly recommended using the Microsoft Deployment Toolkit (MDT). Import the Red Hat drivers and recreate your Boot image. Now let’s create 5 VM’s with some scripting magic. Connect with Putty to the Controller VM. The default username and password for Nutanix Community Edition is nutanix – nutanix/4u. BOOM! 5 VM’s preconfigured booting directly to my Automation Framework where I just pick the dish of the day. No drivers or manual interaction required.